This set is quite the different approach on the classic holiday template. 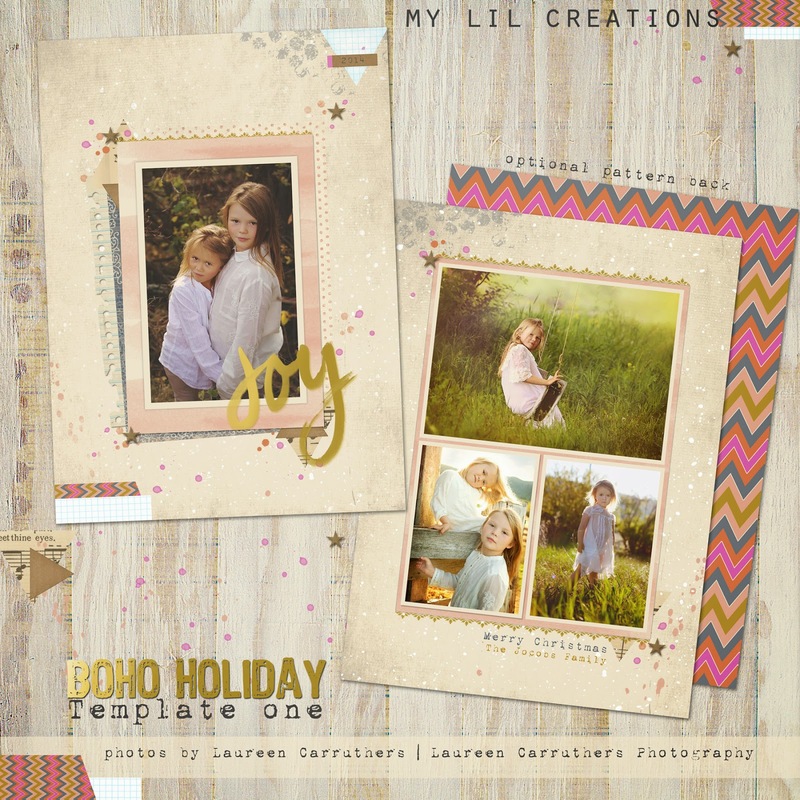 I'm so into the Boho style right now and thought these templates would offer your clients a magical option!!! There are 3 templates in this set, 7 (one card has optional back pattern) psd files (so many layers to play with), 300ppi. Thank you, Laureen, for the use of your beautiful photos!! !